Several events are scheduled for the University of Wyoming’s Welcome BBQ at 5 p.m. Wednesday, Aug. 29, on Prexy’s Pasture. Along with the barbecue, games and giveaways will be a free concert featuring Trout Steak Revival, with special guest Chain Station. UW students are urged to bring their WyoOne ID cards for the barbecue; the live music is free and open to the public. 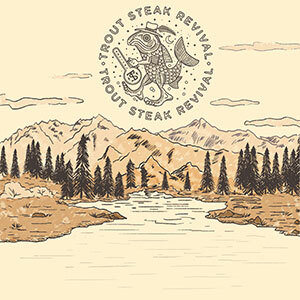 Since winning the 2014 Telluride Bluegrass Festival band competition, Trout Steak Revival has quickly become one of Colorado’s more popular bands. The band won an Emmy Award for a soundtrack it contributed to a Rocky Mountain PBS program. Its music is featured on Bank of Colorado’s radio and television advertisements. Most recently, the publication Westword named it Denver’s Best Bluegrass Band, and the band was nominated as a Momentum Band of the Year by the International Bluegrass Music Association. For more information, visit the band’s website at www.troutsteak.com. Chain Station is a four-piece, high-energy bluegrass string band from Denver. For more information about the band, visit the website at www.chainstationmountainmusic.com. The 7220 Entertainment Club Events Committee, which is organizing the Welcome BBQ, meets in the Campus Activities Center (CAC). For more information about all the committees and meeting times, visit www.uwyo.edu/union/cac/7220-entertainment/how-to-join.html. For more information about future 7220 Entertainment events, visit www.uwyo.edu/connect, download the complimentary mobile app Corq, like the Wyoming Union on Facebook, or follow the CAC on Twitter and Instagram @UWYOCAC or Snapchat: WyoUnion. Individuals needing assistance to attend events should call the CAC at (307) 766-6340.